Winter is slowly (very slowly) setting in and although most fellow Mumbaikars won't agree (since most parts are still super hot and humid), I have to admit that people have begun complaining about dry skin, rashes, sensitivity already. A lot of us turn to our trustworthy cold creams and moisturisers, one of our favourites being the good ol' blue tin - Nivea. 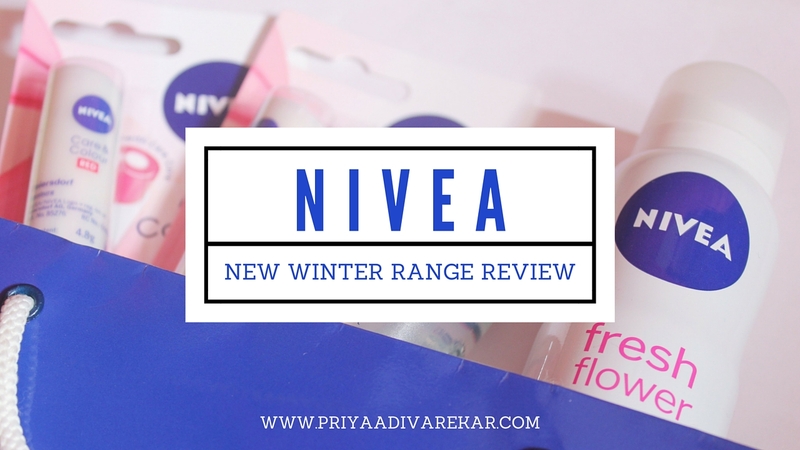 This season, Nivea has launched some really interesting products in fresh fragrances. So, while the blue tin and their super hydrating lotions take care of your face and skin, these new launches will ensure that other important areas too stay hydrated and well taken care of. We are referring to two extremely sensitive areas - underarms and lips. Read on to know our views. What does it promise? Intensively cares and provides subtle rose / red colour. The pro-vitamin B5 provides long lasting moisture intensive. Packaging: Chapstick tube with a tight fitting cap. The packaging is perfect and easy to carry. Texture: Creamy. It glides on smoothly and is not sticky. Fragrance: While rose stays true to its name, the fragrance of red is like a blend of raspberry and strawberry. What's amazing is that none of the fragrances are strong or over-powering. I was more skeptical about the rose variety, as a lot of products in the market use strong rosy notes, which is a huge turn off. The rose fragrance is subtle and fresh, while the red variety is pleasant and not very fruity, clearly making these two lip care products a class apart and notch above from the typical flavours available in the market. 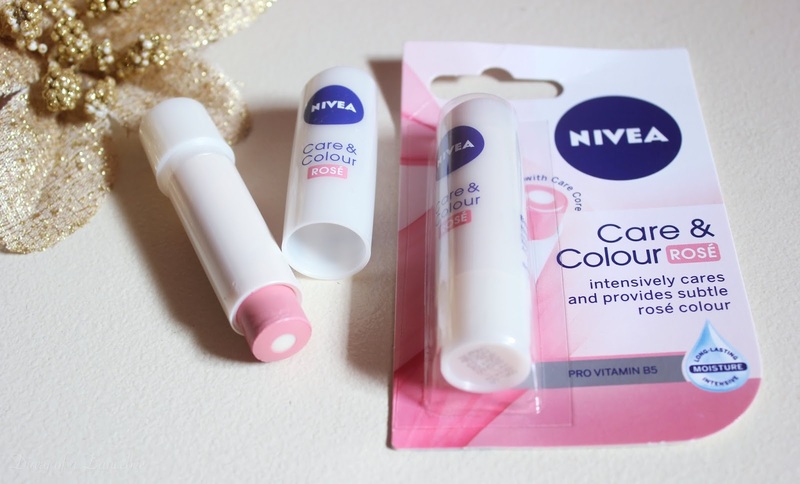 Experience: Nivea's Care & Colour is a yummy, smooth and fragrant lip care in a tube. Every lip care in this range has two layers. The inner formula (in white), with panthenol, works on the core edges, while the outer colour coat keeps your lips hydrated and leaves a subtle rosy / red (depending on the chosen flavour) tint on your lips. The product is dermatologically tested and works well in all seasons. Since we have already started experiencing dry skin issues (dehydrated lips are the first signs), this came as a big boon. The ongoing season is such, where everybody needs that one hero product, that can take good care of their lips and save it from drying out. 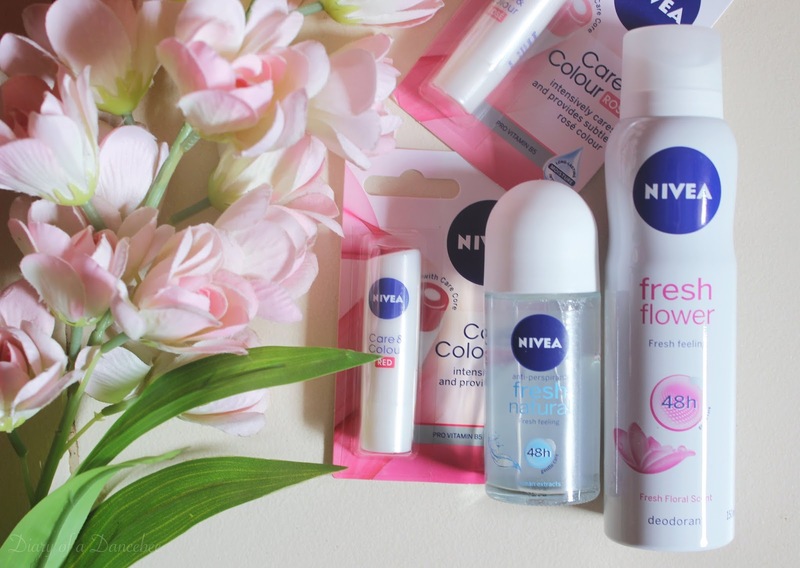 Nivea's care & colour range of chapsticks do just that! Its a no-nonsense, simple formula that hydrates, nourishes and as a bonus, leaves a subtle tint that looks great. What does it promise? 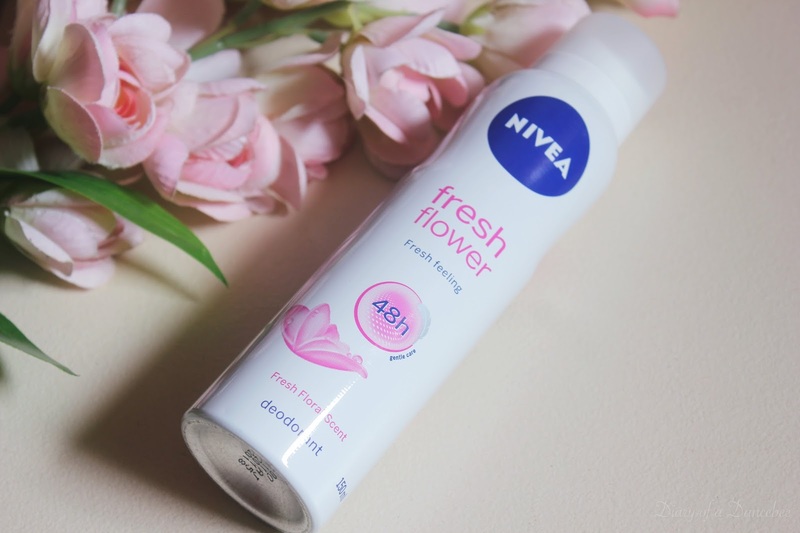 Nivea Fresh Flower Deodorant cares for your underarms. It leaves you feeling fresh all day long. 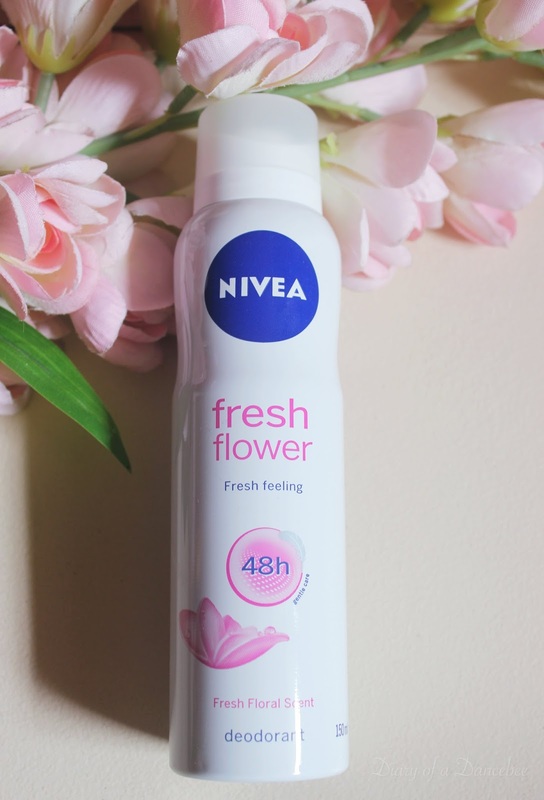 Provides 48 hour odour protection and gentle Nivea care. The product is dermatologically tested and sensitive skin tolerant, with a fresh floral scent. Fragrance: Very pleasant and fresh. In fact, this is fast becoming one of our favourite deodorant based fragrances. Despite the name (fresh flower), this is a far cry from the usual flowery fragrances available in the market. For us, it was like a refreshing blend of flowers and ocean based tones, that are both subtle and fresh. Experience: This product can be best explained in five words - A breath of fresh air. Although we would also like to carry this around during the more hot and humid days (read: Spring / Summer 2016), we feel its perfect for the cold days too. The soft, caring texture will ensure that your underarms stay hydrated, and absorb, do away with whatever little perspiration that you encounter. While the deodorant promises 48 hours of gentle care and protection, we felt it did a decent job during our 12 hour long, gruelling work schedule. Post application, you will almost feel like your underarms have got some moisturiser slathered on them. And as mentioned above, we absolutely love the fragrance. 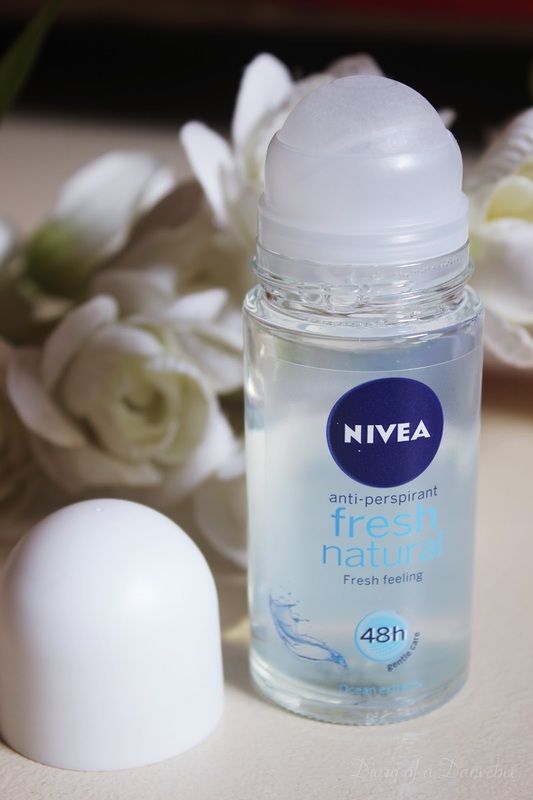 Packaging: Housed in a glass bottle (just like most other Nivea roll ons), the Nivea Anti-Perspirant may not be your ideal travel friendly option. While the product is well packed, its too heavy and fragile (read: glass) to carry around. The application process is simple, and I personally prefer roll-ons, as they slightly better for the environment (and for personal hygiene reasons, you don't have to share it either *wink*). Texture and Fragrance: The texture is mostly a mix of gel and water, which feels cool and light post application. Nivea's Fresh Natural has ocean extracts, which lends this roll on its ocean inspired fresh fragrance. So much, that it will almost transport you to a land of cool, breezy virgin beaches. Again, the fragrance is perfect for all seasons and has a long lasting effect. 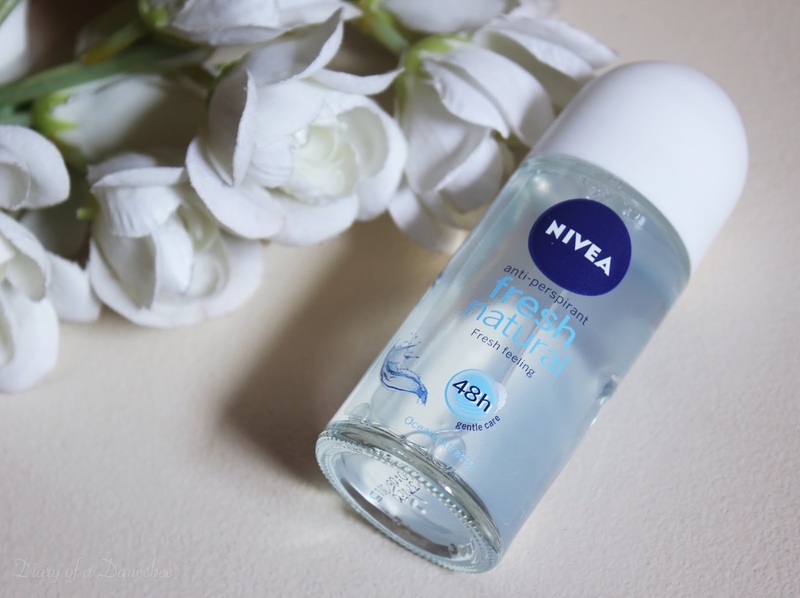 Experience: If you are looking for a product that really lasts long, and if you are someone with a serious issue of perspiration, then Nivea's Anti-Perspirant Fresh Natural Roll-On is your best bet. One of our team members, who travels by train and faces major perspiration issues, tried this roll-on everyday for a week and noticed that while the fragrance lingered on for a good 6 hours, the anti-perspirant properties actually helped keep all the sweat away. We also used tried this roll-on before a workout and felt super good about the way this formula works. Plus, those ocean notes are just perfect (and so soothing). All the products have a great fragrances, which is not strong. Verdict: The new range has something for everyone. While it is tough to choose a favourite, the lip care range definitely gets a double thumbs up. Our daily essential kits feel incomplete without it already. And as part of our ongoing - The Great Festive Giveaway Month - we have now collaborated with Nivea. 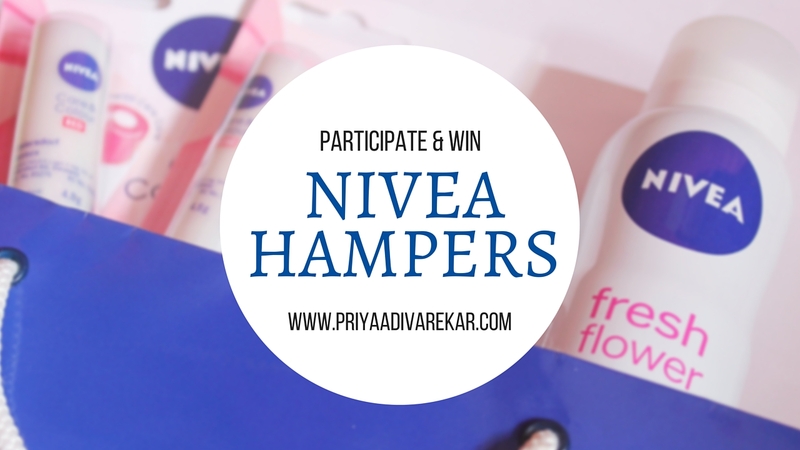 One lucky winner can walk away with a Nivea gift hamper! Answer a simple question, follow the rules and get set to win. Question: Which Nivea product would you like to try this Winter? PS: This is the final giveaway as part of our Great Indian Giveaway Month. So, those of you who haven't been successful in the previous contests, this is your chance! Get, set and participate. Lovely giveaway . I really love nivea products .. Thanks a lot for this wonderful opportunity.. 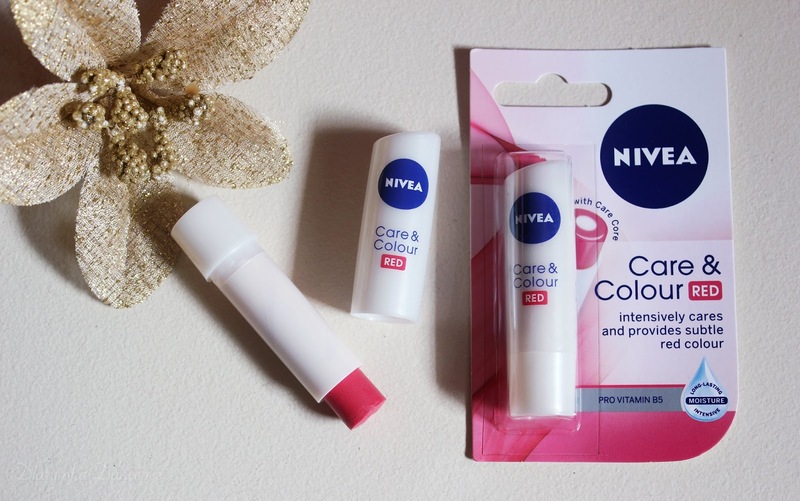 I would love to try the new care and color red balm as I am totally in love with all balms from nivea. And as thus is a new launch I really really want to try this .. Its a great thing to be used in winters as lips tend to get a lot more dry in winter season and its really important to keep them hydrated all day long I think these care n color lip balms r a great launch ..
Nice review... I fell the love with the care n colour the moment I read about it. I have shared and tagged 5 friends on every platform twitter, insta and facebook. Also following your page and Nivea India on all the platforms.... Hope to get luck and win...!!! Amazing giveaway..i have participated in it and wish to win it ..happy holidays. Thank you soo much for this giveaway.Following you and Nivea on all platforms . Tagging my friends. Nivea is my fav brand and wish to be lucky . Thanks for this wonderful give away ! I love your reviews and try following them in my life. Have participated. Nice review. I would love to try Nivea Care & Colour Rose. Its very cold here in Bangalore and chapped lips are started to appear. I love my Nivea Fruity Shine but it seems to be bit sticky for the chapped lips. Nice review of Nivea Products . Done all steps , followed and shared on face book , twitter and instagram. wow. Just awesum giveaway.Thanksss for hosting such a wonderful giveaway. NIVEA presents a range of innovative and high-quality cosmetic products in Bath care, Body Care, Deodorants, Face care, Lip Care, Men's Care and Sun Care . I use Nivea products all are best suited for me.I would like to try NIVEA Natural Fairness Body Lotion. it is a daily moisturiser developed to enhance the skin’s natural radiance. The skin is left silky smooth and naturally fairer. as usual thax for having so nice giveaway for us. eager to play on ur page ahead too. Done all steps mentioned above wish to win this wow Nivea Hamper. Shared ur post on all social platforms thax. My instagram name : sujatabansod. I would like to use fresh flower deodrant for this winter to may my day with full of fragrance. wanna eager to use . here is another perfect for winters..
As you say it promises Intensively care and provides subtle rose / red colour. The pro-vitamin B5 provides long lasting moisture intensive. 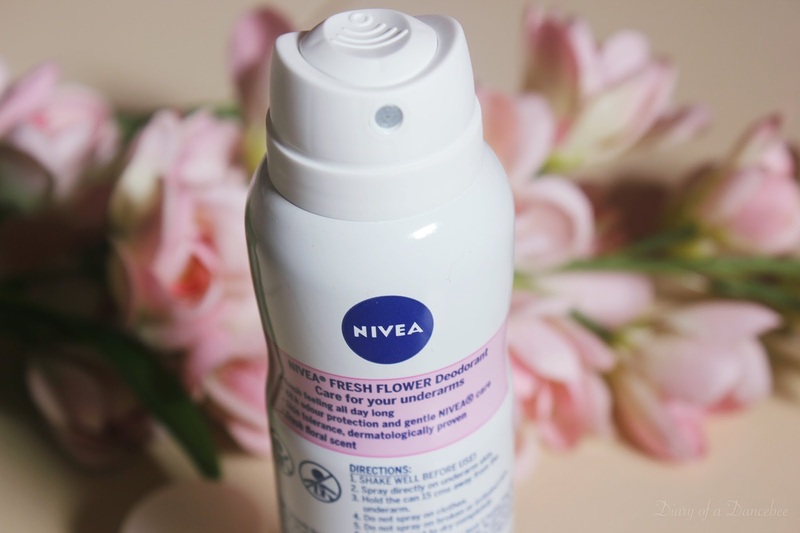 For this winter, I'd like to try the Nivea Fresh Flower Deodorant. Thanks for the giveaway & I'm done with all the steps ! 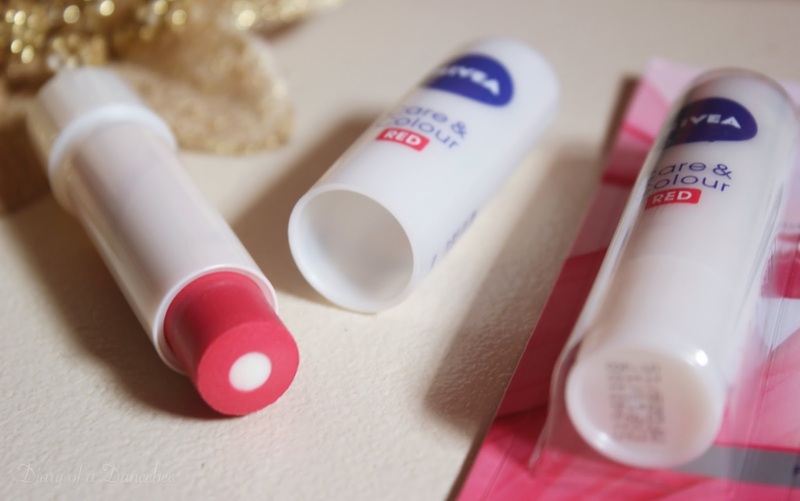 This winters I would love to try tint of Nivea Care & Colour red lip balm. I’d love to see swatches of it...Not only for lip care but for the tinge of playful color too. 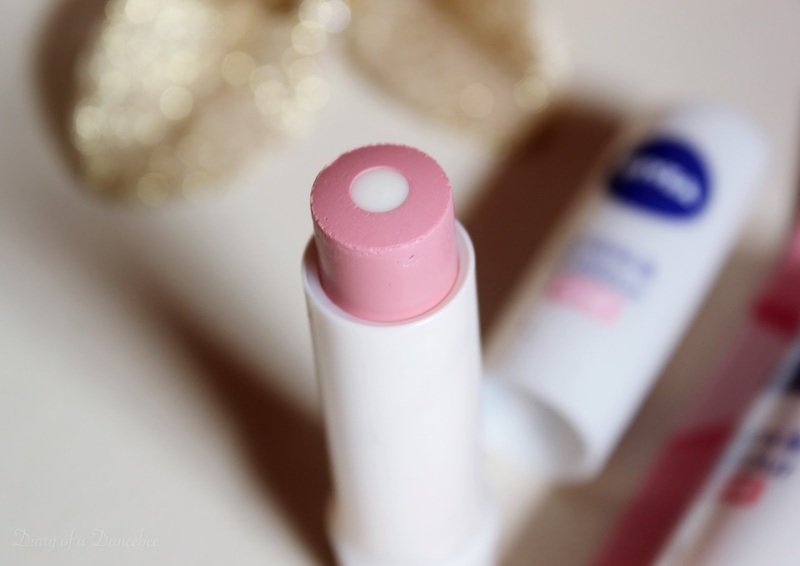 Though I prefer Nivea Essential Care Lip Balm but this tinted Lip Balms looks tempting.